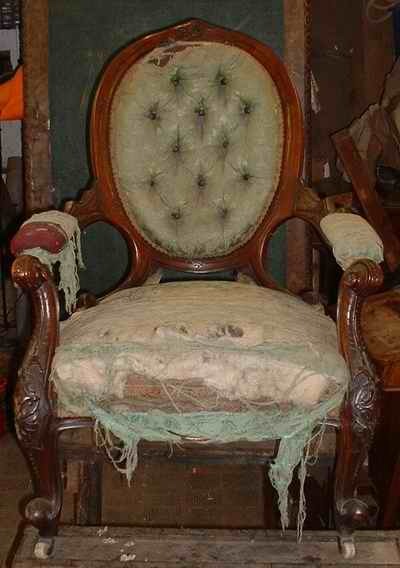 Please note that I no longer undertake upholstery work to large items nor many modern pieces unless simple recovering. I shall update this page soon as to be honest some of the examples of my work in the gallery below are pretty old and not quite good enough by my current standards! I can occasionally do modern items such as drop in seats or simple recovering but generally do not work with foam. 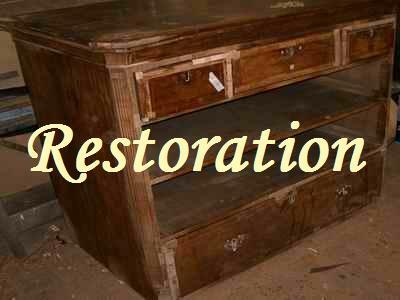 For simple work such as basic recovering of seats etc. I can be quite competitively priced but please bare in mind that high quality traditional work is expensive. The treatment of upholstered items pre-dating 'modern' techniques frequently require a distinct expertise, especially so for fine period pieces where it is important to be familiar with a range of traditional techniques, appropriate styles and have any necessary frame repairs carried out correctly. 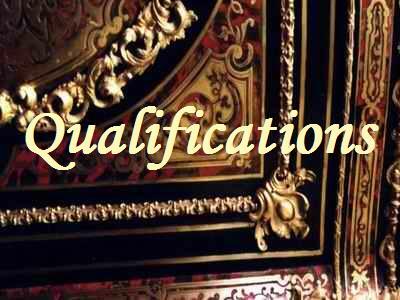 I am also happy to undertake frame repairs to the highest standard for you to pass on to your preferred upholsterer (bearing in mind the above) or for your traditional upholstery class project. 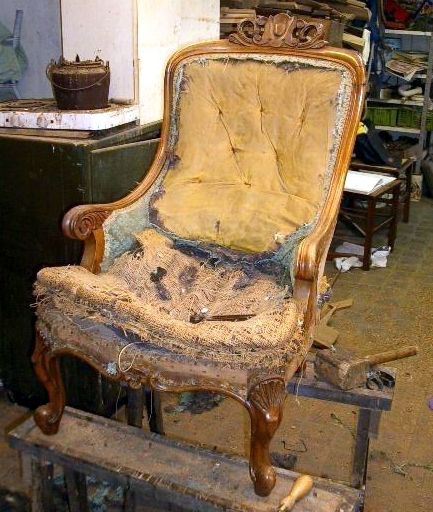 Click on the picture opposite to see the stages in the upholstery of this Victorian armchair.